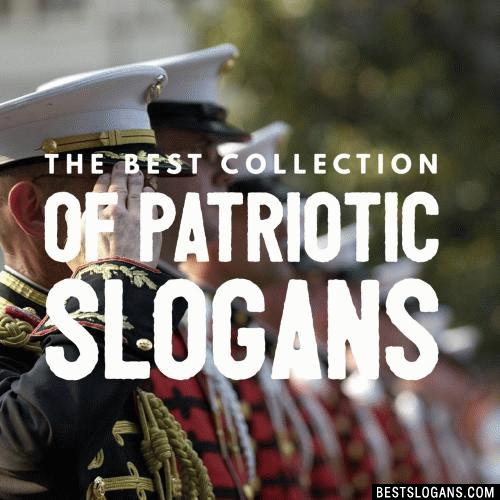 23 new entries added to patriotic slogans, patriotism slogan, that include pictures. 1. Liberty and Justice For All. 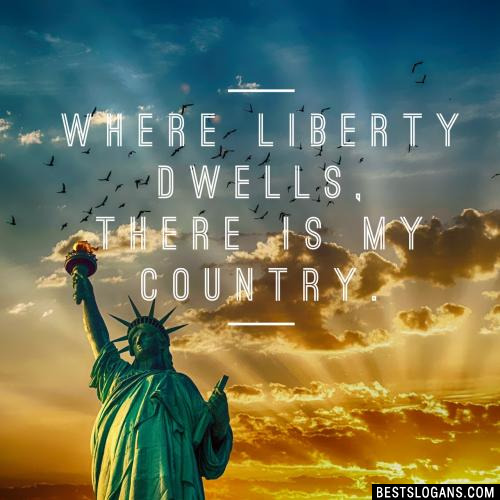 1 Liberty and Justice For All. 2 Freedom is the core of a successful nation. 3 America! Love it or leave it. 5 We can't all be Washingtons, but we can all be patriots. 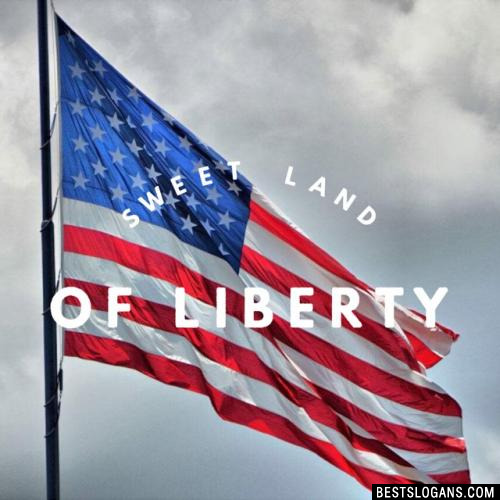 6 Sweet Land of Liberty. 9 Patriotism is like charity it begins at home. 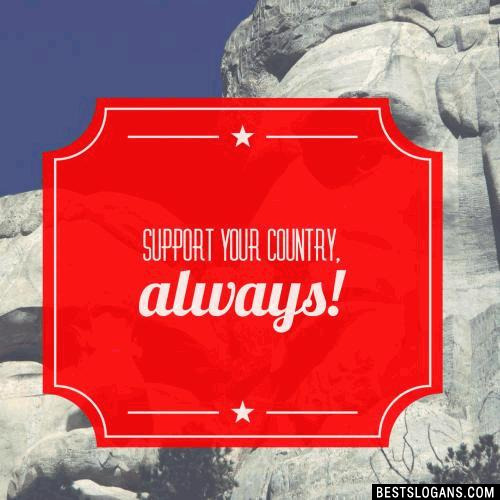 10 Men love their country, not because it is great, but because it is their own. 12 If you don't stand behind our troops, why don't you stand in front of them. 16 Be the change that you want to see in your country. 17 Being an American is awesome. The end. 18 United We Stand, Divided We Fall. 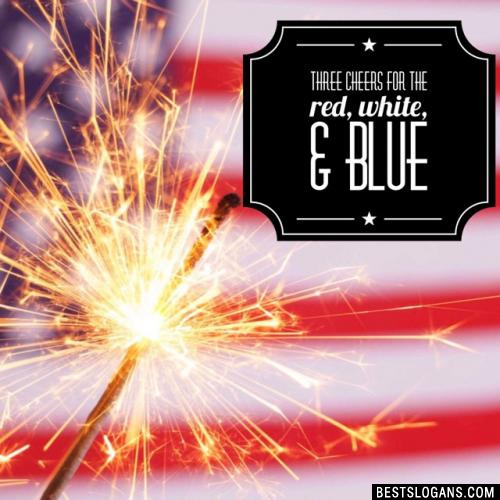 Can you think of a good Patriotic Slogans we're missing? Or come up with a clever one of your own. Please share below.